Pre-fall. The end of the summer, right? Wrong. 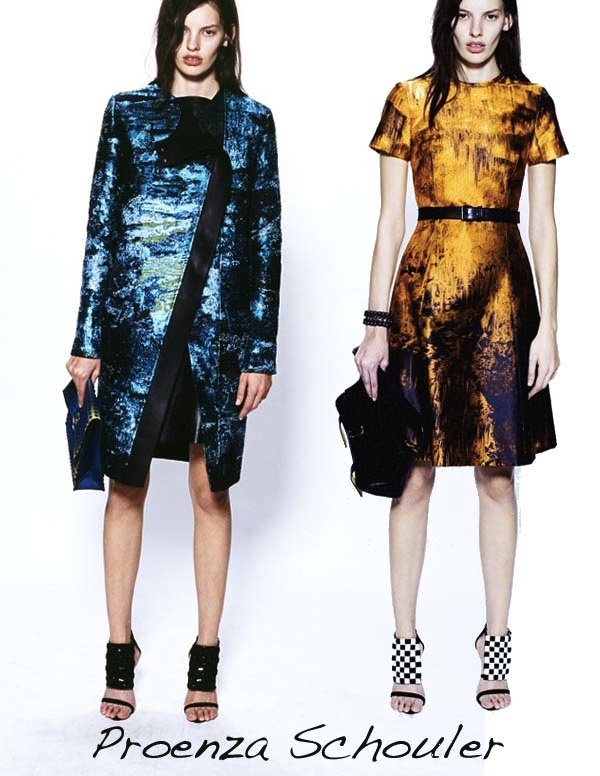 Pre-fall is happening now, and the trends for 2013 are already appearing from the top designers around the world. So what exactly are pre-fall collections and why do we need them? These shows bridge the gap between Spring/Summer and Autumn/Winter shows. They have become the new resort collection (another between-season, season), are shown in December and will arrive in stores sometime around May or June. The collections are usually more commercial and wearable than the big shows in S/S or A/W and are usually shown presentation style, instead of runway. They also give the designer another chance to explore ideas and themes they maybe haven’t fully exhausted in their previous collection, or try something new and get ready for the next season. Some may say this is too much, but I am always happy to see new runway collections, as I find them endlessly fascinating. They are a great way to spot trends that you can work into your wardrobe, or inspire you to wear things you own in a new way. They will also become inspiration for more affordable brands (think: Zara, H&M, Asos, etc.). So no matter what your budget, you can take the ideas you see on the runway and incorporate them into your closet (or start saving for an investment purchase come May). My trend notes? Well, it's still a bit early to call as these shows are still happening, however, I'll let you know my thoughts so far—pattern is still majorly in play. Plaids look to also be a player, as well as longer hemlines and ladylike sillouetes. Black is back, but really, when was it ever out? Textured black and the graphic trend seem to be coming back strong, with black and white being a major player. My favorite looks come from Proenza Schouler. The whole collection is great. Black and white graphics are so gorgeous and wearable (and easy to find similar pieces in your current closet). The mustardy-yellow dress with black smoky, smudges all over is a standout. The pop of color and cut of the dress is ladylike perfection with a modern graphic edge.